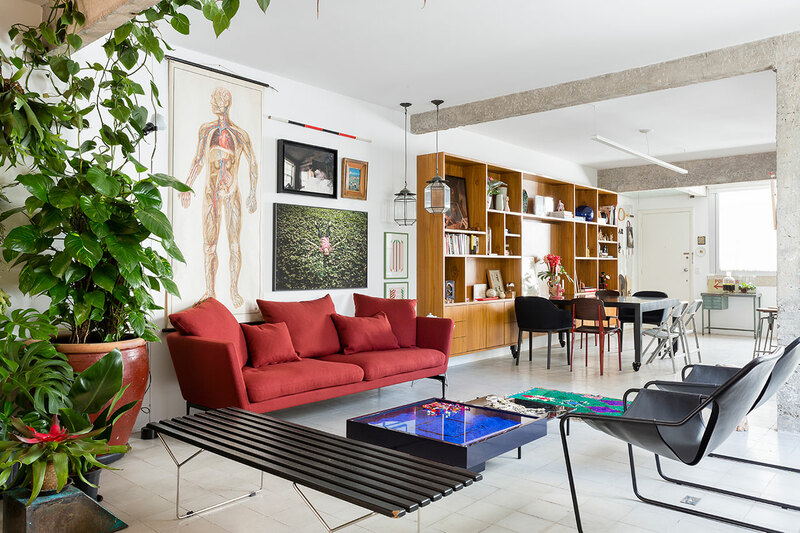 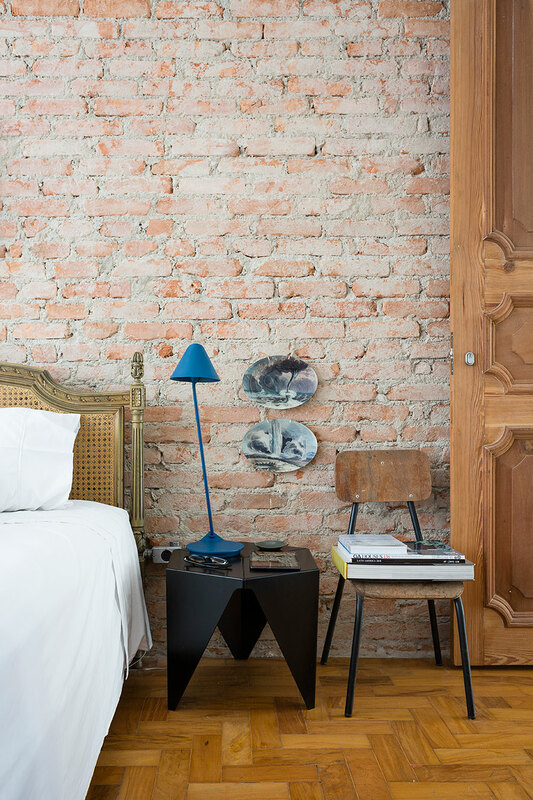 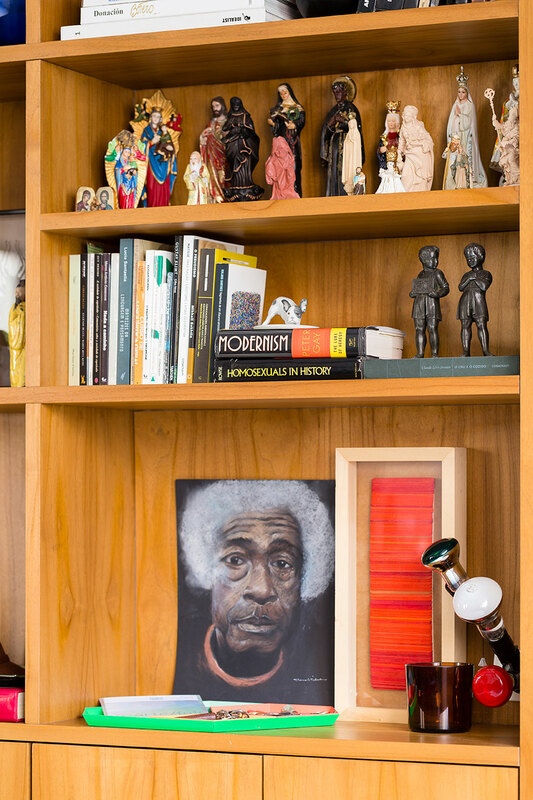 Endowed with wonderful karma, this renovated flat in São Paulo’s Pinheiros area is located in a 1962 edifice built by a group of friends who once decided to live under the same roof. 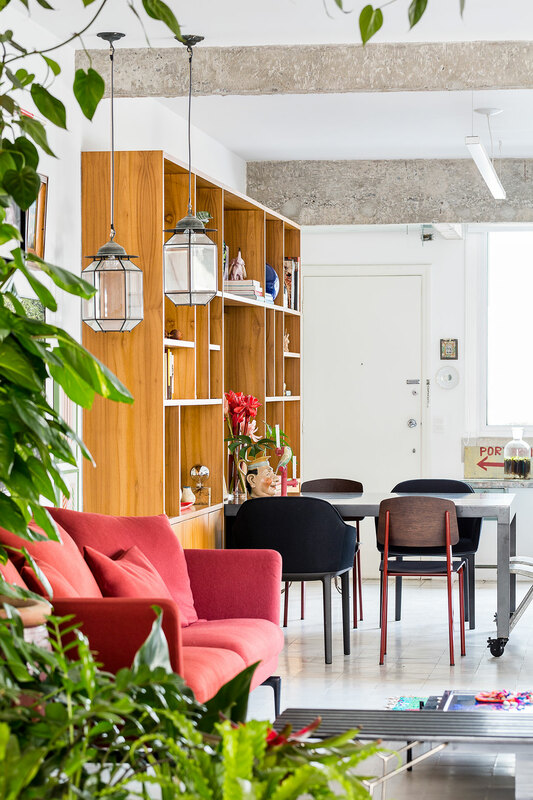 It is an honest and very simple part of João Moura Street, with beautiful gardens gracing the open spaces of its entrance and garage levels. 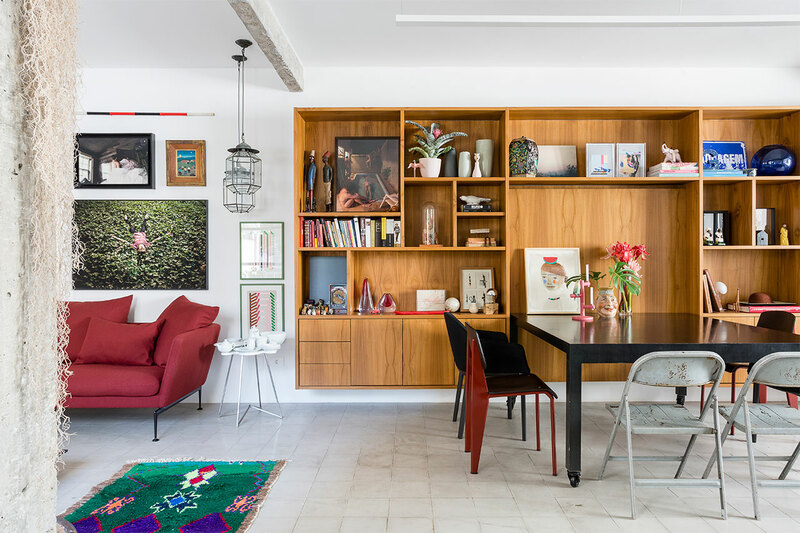 Honouring the homey feel of the place, the new owner’s request was for the renovation, completed in 2015 by RSRG Architects, to transform the 109 sq. 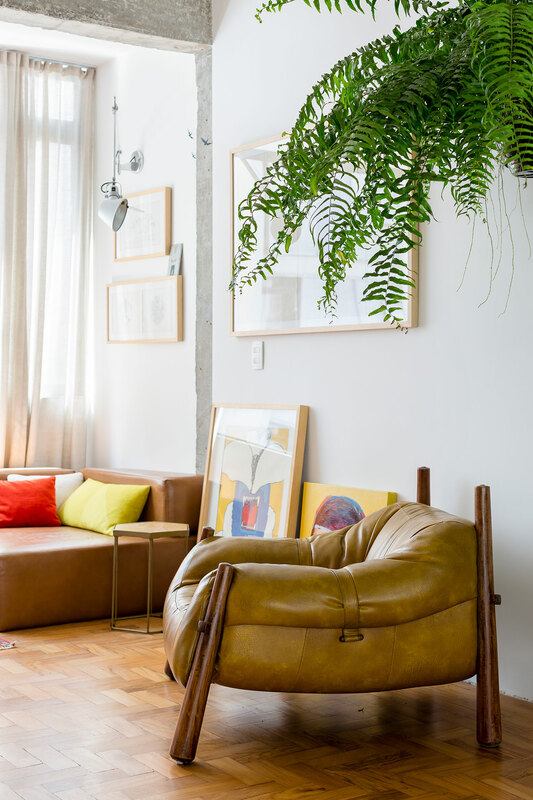 m. flat into a cosy house. 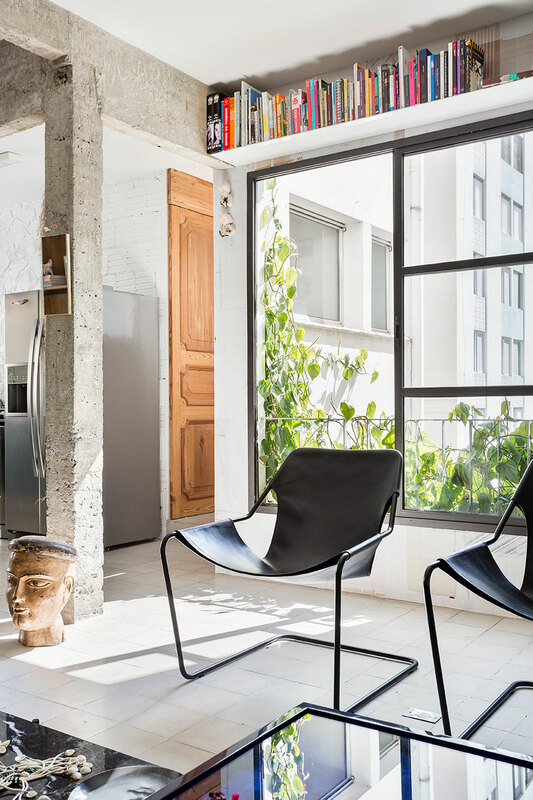 Conscious interventions and a strict budget gave Apartamento João its unique style of deconstruction and simplicity where life revolves around an open space with a kitchen and an adjoining living room, leaving the bedroom, lavatory and laundry to create a more private area. 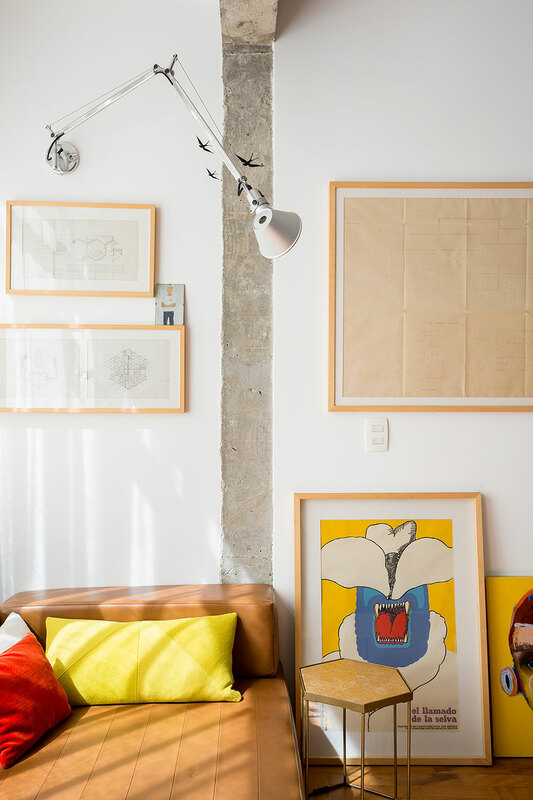 An old service entrance was closed to offer more space and, once the walls were torn down, a new bright light flooded the apartment. 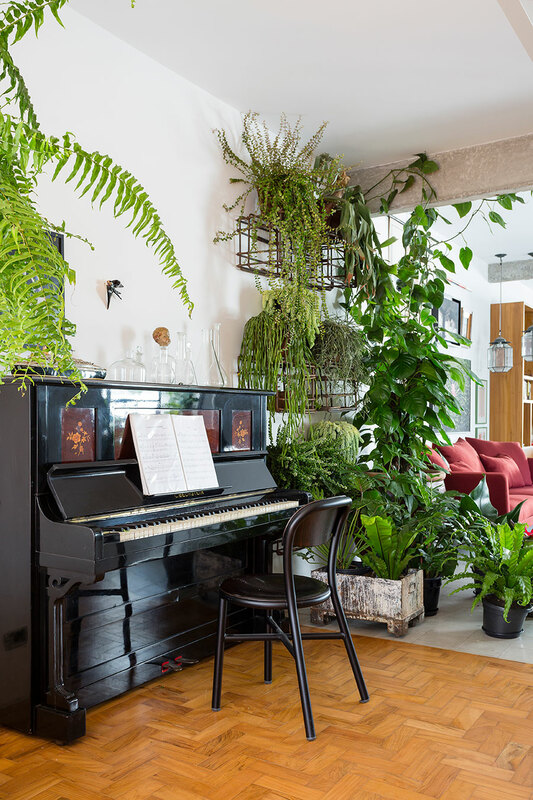 The big window in the middle is now a centrepiece offering a great view of the garage garden. 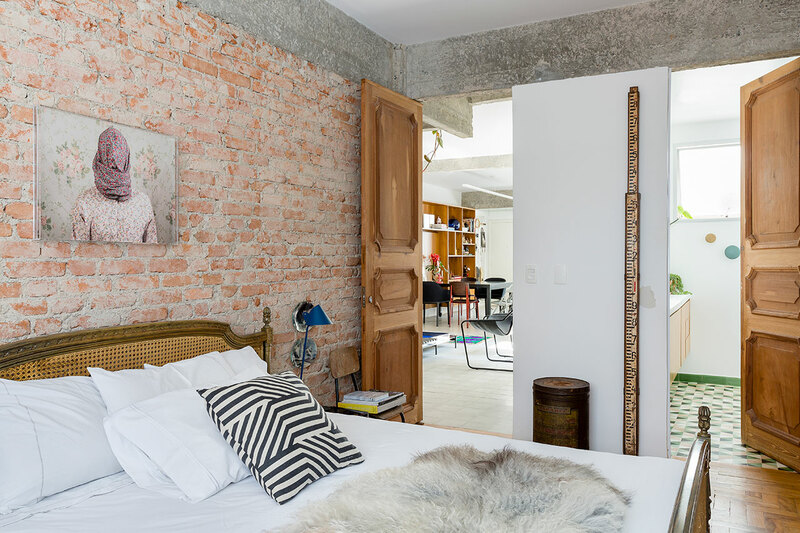 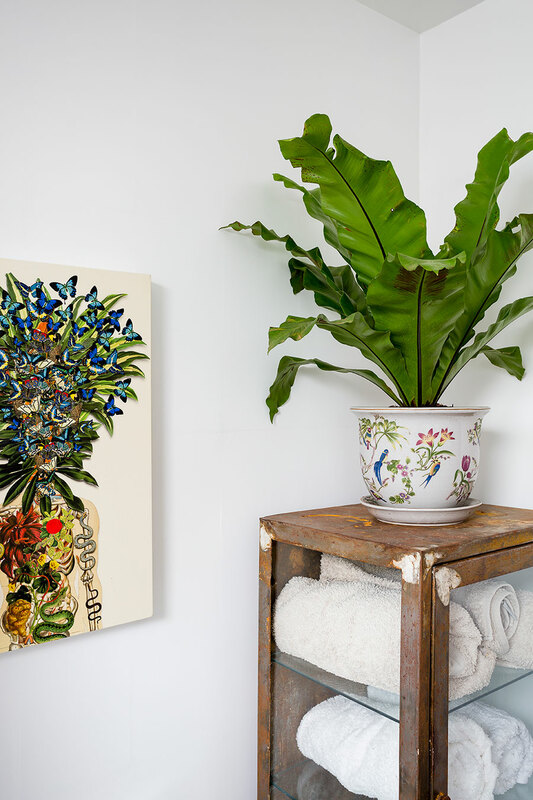 The apartment’s existing doors were replaced by vintage ones found in the city’s Embu das Artes antiques area, where the owner’s family runs a wallpaper industry; the “white collage” paper on one of the walls, made by artist Lucas Simões, is actually theirs. 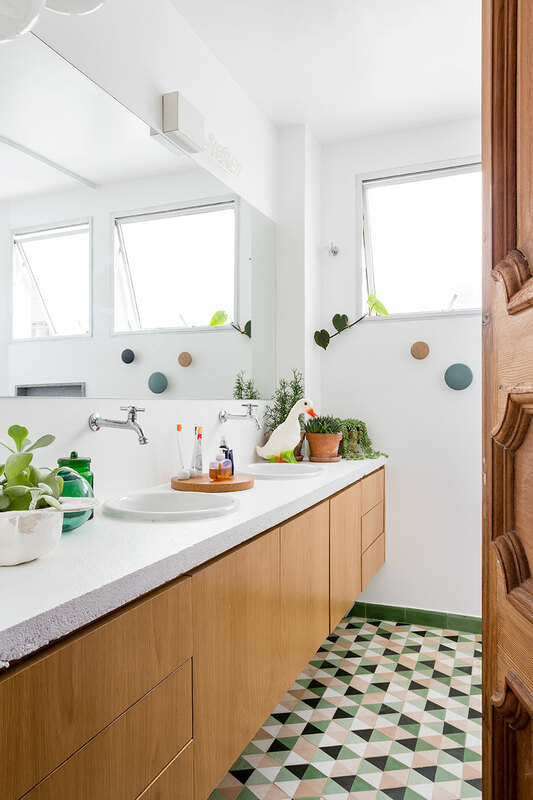 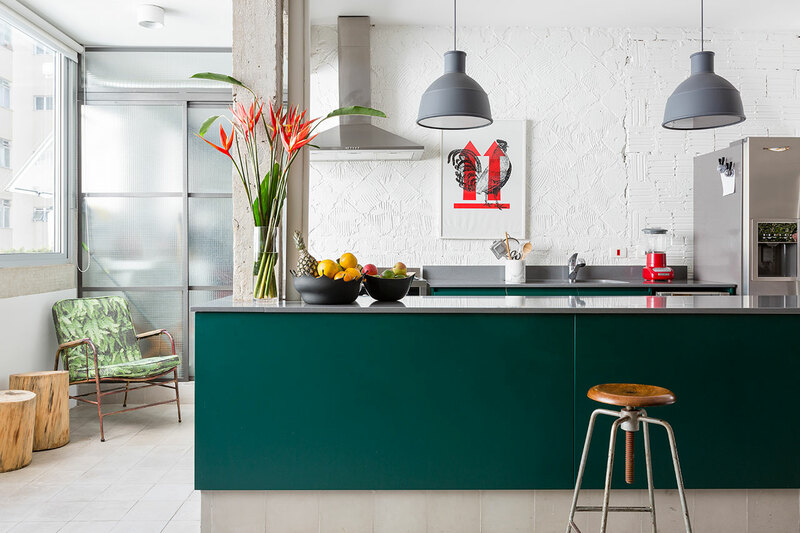 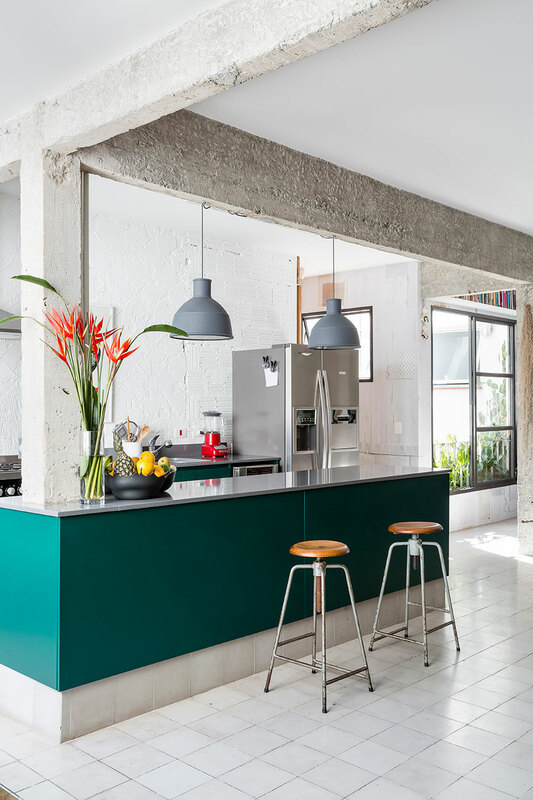 Meanwhile, the colourful cement tiles on the floor, which replaced patches of wood infested with termites, add style and character that matches the antique tiles in the kitchen. 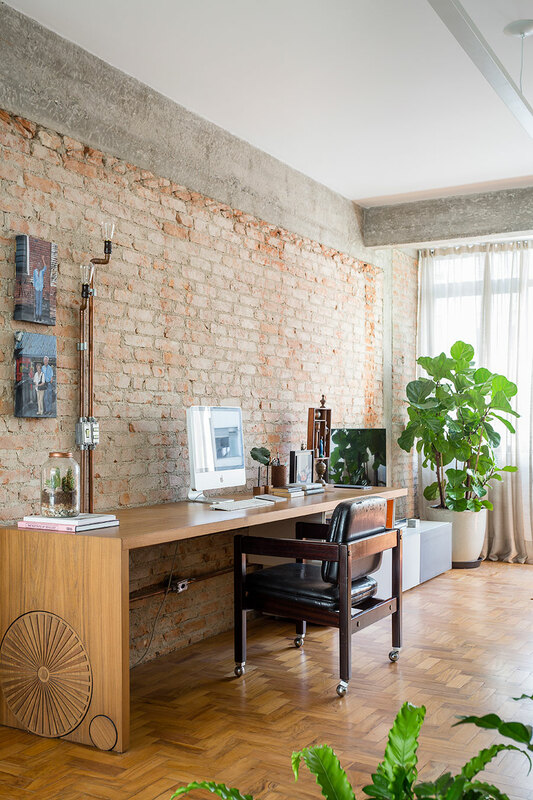 Bare brick walls and exposed-concrete pillars create a sense of incompletion, while traces of the old walls on the ceiling were kept intact to suggest a sense of temporality that makes the place look fresh and playful. 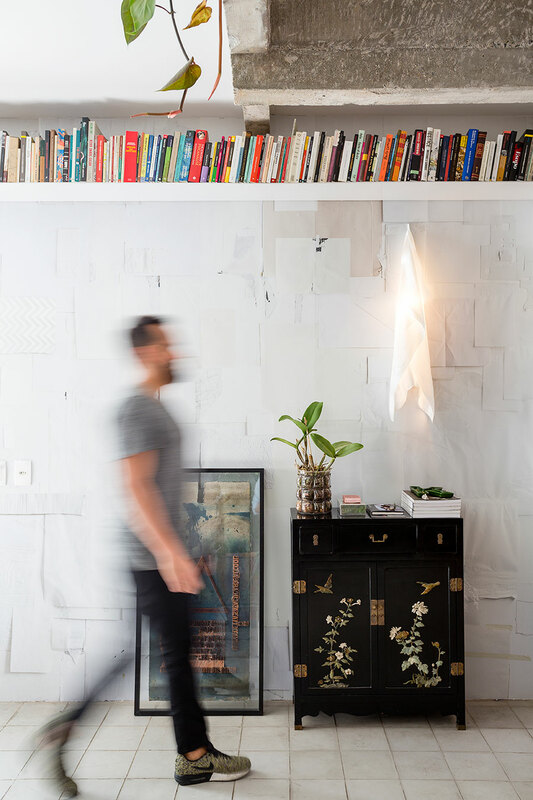 A run-down wall has its own little tale to tell: “One day we fixed a picture with a double-sided tape and when we removed it, the tape took off a piece of the wall. 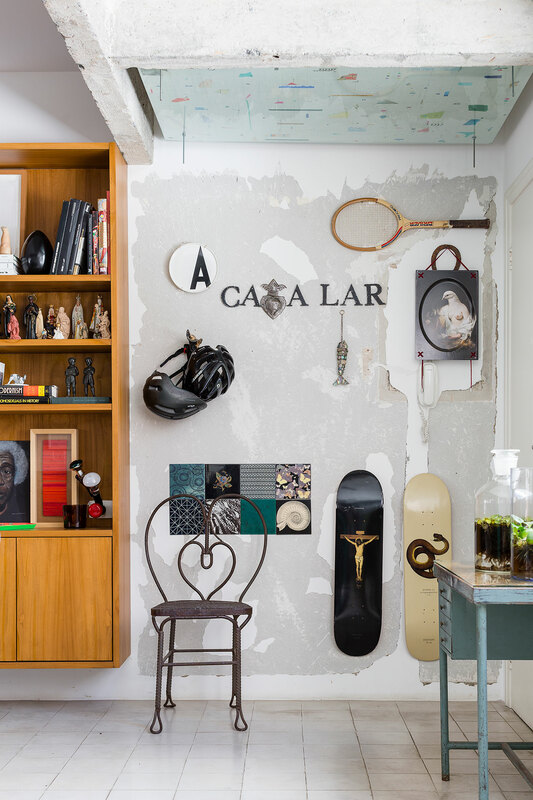 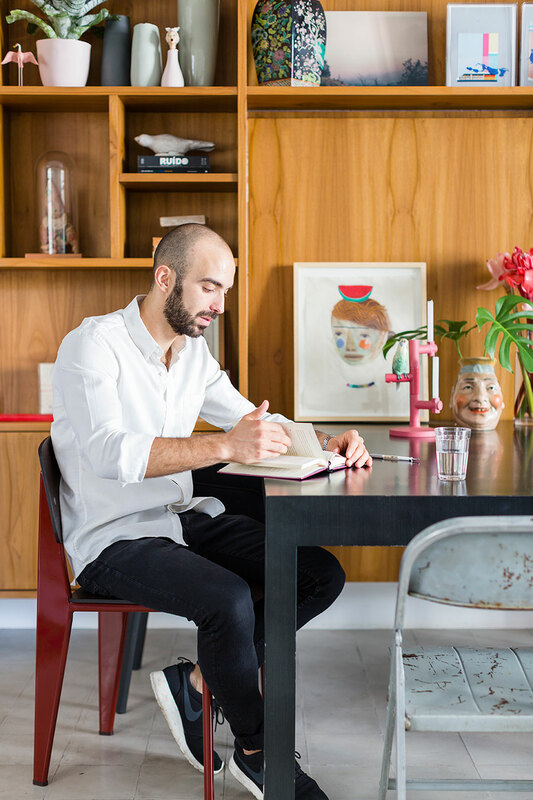 The result was actually beautiful, so we decided to ruin the whole wall” remembers architect Rogério Gurgel of RSRG Architects, who enjoys the result of his work first-hand, as he lives in the flat with his partner, the owner of the apartment.